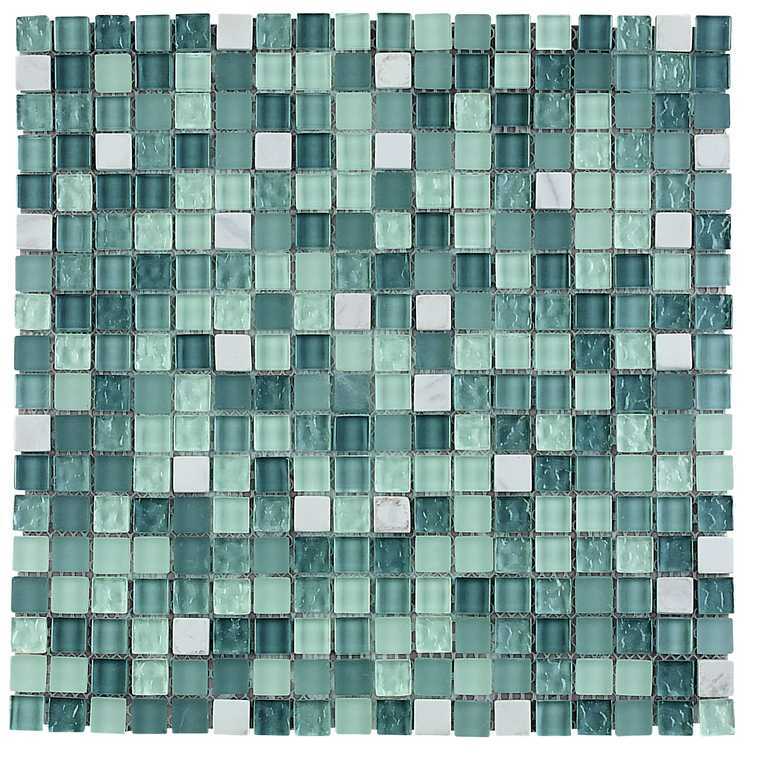 Mixed materials mosaic in shades of blue. 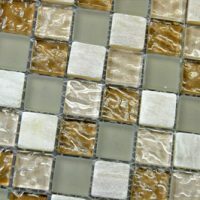 The Carrara mosaic tile is a wonderful choice for your home. 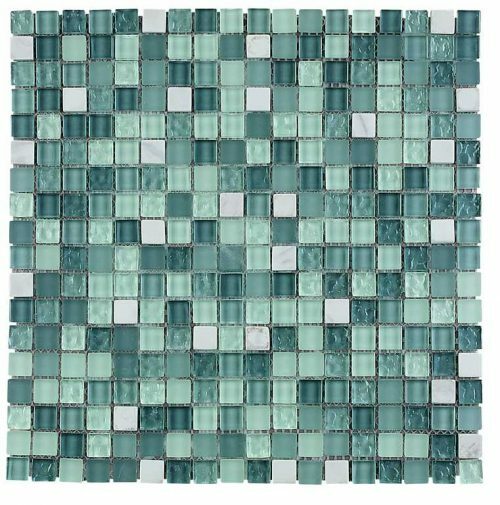 It is an elegant glossy mosaic, made of mixed materials and sports varying shades of aqua/blue. It complements a whole range of neutral colours and is ideal for use in kitchen splashbacks, bathroom walls and shower walls. The Carrara mosaic tile is available in a standard size of 29.3×29.3cm and is sold per piece. For a mosaic tile, the Carrara tile is incredibly stylish as well as functional. It is manufactured to the highest standards of quality and it is built to withstand the test of time. It will not lose its glossy finish and requires no maintenance once installed. The Carrara mosaic is designed to offer easy installation with minimum grouting, which in turn produces a nice flush finish. Despite exhibiting all the characteristics of a superior grade product, it is surprisingly reasonably priced. 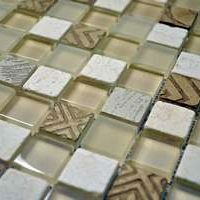 For elegant mosaic tiles in Perth, look no further than the Carrara mosaic. 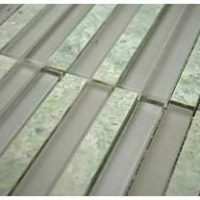 Buy this attractive tile at an unbeatable price from our online store today to avail our free delivery across Perth Metro!